Recommended For: Dogs with a tendency to be overweight, 1-6 years. The low-fat recipe of this IAMS for Vitality Adult Dog Weight Control - Chicken dry food makes it the ideal dish for adult dogs looking to lose a few pounds or simply maintain a healthy bodyweight. This diet food is suitable for dogs of all breeds and is well-accepted thanks to its hearty flavour. IAMS for Vitality Adult Dog Weight Control - Chicken contains 30% less fat than standard IAMS Adult dog food with chicken. It contains 69% animal protein and a balanced recipe adapted to meet the needs of overweight or less active dogs, for example senior dogs. The low-fat recipe supports weight maintenance, as well as promoting 7 signs of healthy vitality. IAMS for Vitality Adult Dog Weight Control - Chicken helps to keep teeth, skin and coat healthy, as well as supporting strong bones and muscles. This light food also encourages healthy digestion, a functioning immune system and a healthy heart. The reduced-fat kibble is made without any artificial colours or flavourings, and is free from wheat to make it particularly digestible. 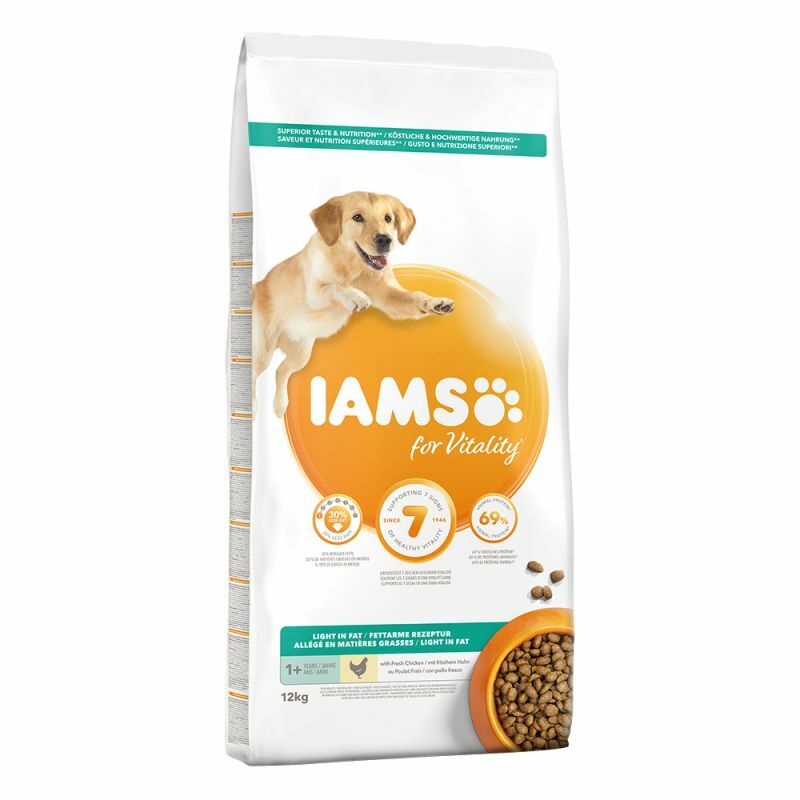 There are currently no questions for IAMS for Vitality Adult Dog Weight Control - be the first to ask one!